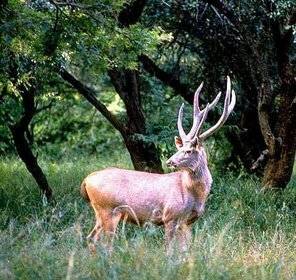 If you wish to be surrounded by nature and escape from the honking city buzz then Jim Corbett National Park has the key to unlock your wishes. 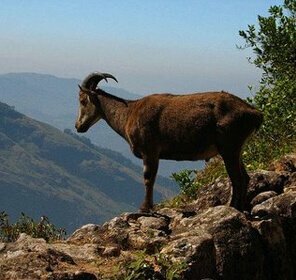 This famous wildlife holiday hotspot in Uttarakhand is a gem for wildlife enthusiasts and nature lovers. Surrounded by jaded greens and grasslands, this wildlife sanctuary is blessed with varieties of flora and fauna. 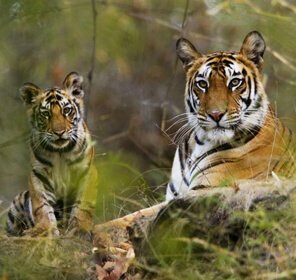 This park is located in the Nainital district of Uttarakhand and it is the First Tiger Reserve in India. Something most people would not know is that, during the year 1936 Corbett National Park was formally known as Hailey National Park. 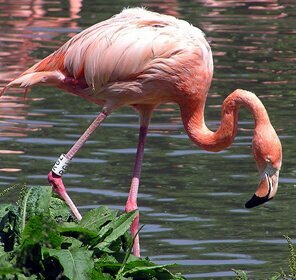 Ever since the park has increased its geographical radius, it has become home to a plethora of wildlife species out which some are even endangered. 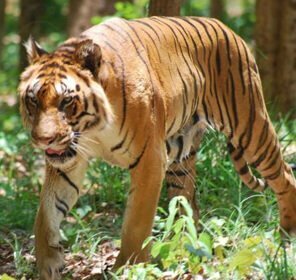 Covering an area of 520 square kilometres this wildlife sanctuary & tiger reserve is home to 488 different species of plants and 600 species of birds, leaving aside several species of mammals and reptiles. 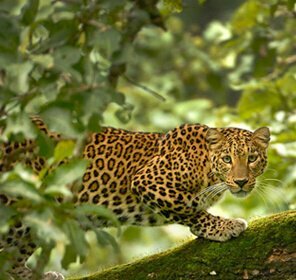 Thus, this makes Corbett Wildlife Sanctuary one of the most visited national parks in the country. Corbett is an exhilarating wildlife destination. Beautifully occupied by lush green hills, reverie belts, waterholes and grasslands, Corbett makes an ultimate animal kingdom and a picture perfect habitat for wild animals. Nonetheless, you can get a chance to see the star attraction of the park, the magnetic Royal Bengal Tiger. 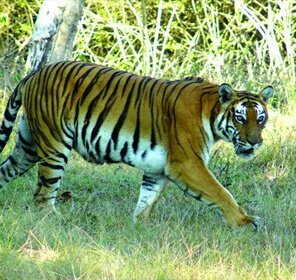 Corbett Tiger Reserve is perhaps one of the most sought after destination to visit and to catch a glimpse of the endangered Bengal Tiger. As you make your way in the depths of the forest during your jungle safari, you can also see some beautiful mammals like Rhesus Macaque, Langur, Sambar, Barking Deer, Nilgai, Wild Boar, Asian Elephants, Jackal and Leopard. The list does not end here, apart from the mammals, the park houses beautiful yet dangerous reptiles such as crocodile, Python, King Cobra, Russels viper and Monitor lizard, including the beautiful fishes like Kalabasu, Kalimuchi, Mahaseer, Chilwa and Goonch. The Corbett Wildlife Preserve is also known for best place for bird watching. Birding in this national park allows the bird watcher to study, inspect and admire the beautiful chirping of birds like Jungle fowl, Peacock, Partridge, Kaleej pheasant, Dove, Woodpecker, Drongo, Duck, Teal, cormorant, Stork and Seagull. 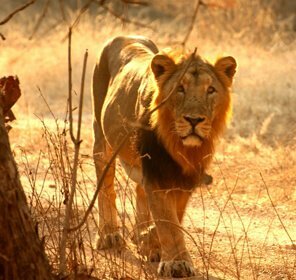 This travel guide helps you explore every aspect of the wildlife sanctuary, from adventure activities to the sightings in its varied zones, making it a memorable wildlife holiday tour. 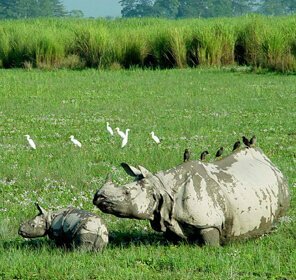 Surrounded by six different zones, namely, Bijrani, Jhirna, Dhikala, Durgadevi, Sitabani including a newly introduced eco-tourism zone Dhela; the park offers an incredible opportunity for wildlife safari tours. Each zone provides the visitors with lush atmosphere and good forest lodges to dwell in if you feel adventurous. However, apart from forest lodges you don't need to worry about lodging as the park provides budget to luxury accommodations. Some of the popular hotels & resorts in Corbett National Park are Corbett Hideaway, Corbett Leela Vilas, Infinity Resort, Corbett Den Tiger Resort, Wild Crest Resort and Corbett River View. This wildlife sanctuary doesn't restrict you with only wildlife safaris but also challenges you with numerous adventure activities around it. If you feel partaking in some adventure activities then one can enjoy activities like River Rafting, Angling, Rock Climbing, Bridge Slithering and Rappelling. There are also a few religious places like the famed Garjia Temple that one can pay homage. Corbett Falls and Corbett Museum are yet the other two distinct tourist attractions around the park. 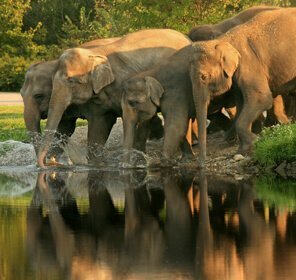 Established in 1936, Corbett Wildlife Preserve is one of the India's oldest national park. This park was originally known as Hailey National Park to protect the endangered Bengal tiger. 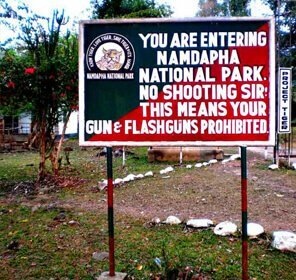 Over the years, the park has gone through several name changes like in 1954-54 it was renamed as Ramganga National Park. 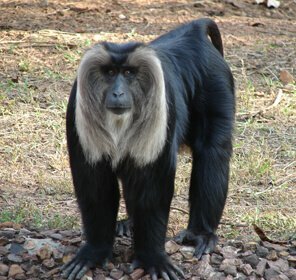 and then again renamed as Corbett National Park in 1955-56. The park also takes pride in being one of the thirteen protected areas covered by the World Wide Fund For Nature. 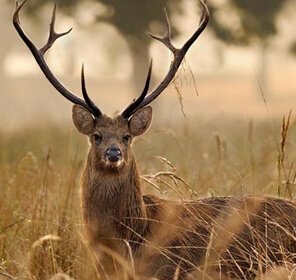 If at all you get the opportunity to take your eyes off the rich flora and fauna of Corbett Wildlife Sanctuary, there is a whole lot awaiting to be explored around this mesmerizing wildlife destination. 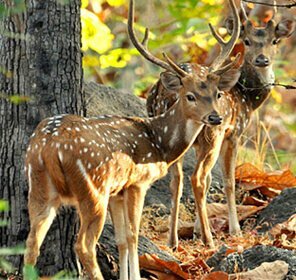 The vicinity of Corbett is replete with attractions like a beautiful river, Kosi; the majestic and sacred temple of Garjia; the informative Corbett Museum; the spectacular Corbett Falls and stunning Sunset Point. 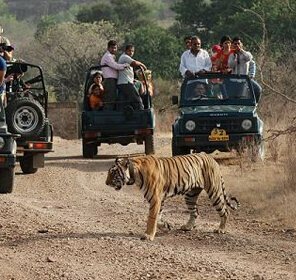 To treat you with the best of comfort amidst wilderness, Tour My India has come up with best wildlife safari tour packages, inclusive of transportation and accommodation. Our team hand-picks the best hotels so that you always have an exceptional service. We also offer customized packages keeping in mind your budget and requirement. 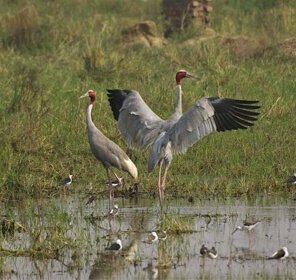 Soak up the sounds and sights of the Corbett Wildlife Preserve for once- in -a- lifetime experiences with the tour packages offered by Tour My India. Best prices guaranteed! 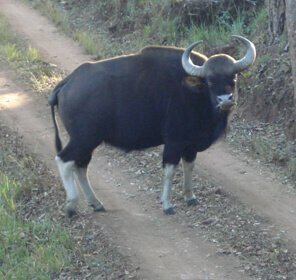 Corbett wildlife sanctuary is replete with accommodation options. From luxury resorts to budget hotels, you can find various types of accommodation options in Corbett Tiger Reserve catering to every taste and budget. All these hotel accommodation provides a range of facilities which will generally include restaurants/cafes, and services including valet car parking. What can be a better way to witness the beauty of the jungle than by staying in it? In this wildlife sanctuary too you can enjoy a similar experience by booking a stay in any of the forest lodge that are available in almost every zone. Book a stay in any of the forest lodge, and you might see a tiger or any of the endangered specie from your room window. 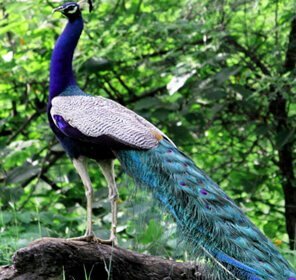 Corbett Wildlife Preserve is blessed with a natural bounty of various plants and trees and it is a good place for wildlife tours. You are bound to sight-see some interesting herbs, shrubs, grasslands and meadows which are perfect to be captured in the lens. Apart from wildlife spotting, this wildlife sanctuary also houses many recreational and adventure activities. You can enjoy many enthralling activities apart from Jungle Safaris, Rappelling, Rock Climbing, Bridge Slithering, River Rafting and River Crossing. Besides, you can also opt for leisure activities like Birding, Fishing and Angling. 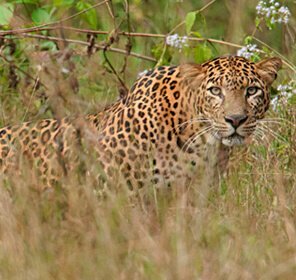 Corbett wildlife sanctuary has some of the most beautiful yet dangerous predators. 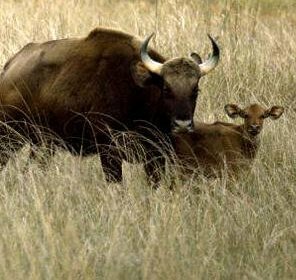 And to get close to the majestic species, the national park provides two types of safaris such as Jeep Safari and Canter Safari to help you get a good view and experience during your wildlife tour. 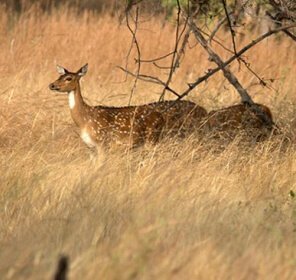 Somewhere like the other parts of India, Corbett Wildlife Preserve too experiences temperate climate with three seasons- summer, winter and monsoon. On an average the temperature prevails between 10\B0C and 23\B0C. October to mid June will be the best time to plan a holiday. However you should avoid a visit during the monsoon season as the region is prone to soil erosion and landslides. 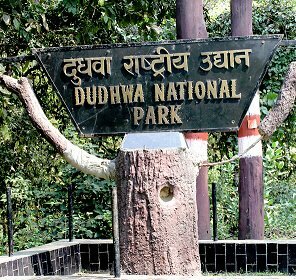 Keeping in mind the administration and tourists inflow, this national park is divided into six safari zones - Jhirna, Bijrani, Durgadevi, Dhela, Dhikala and Sitabani. Each with a unique feature, all these zones boast of diverse flora and fauna. 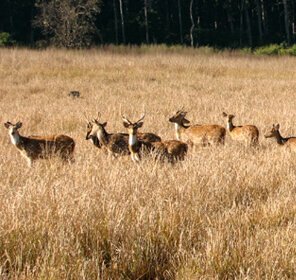 Corbett Wildlife Preserve, blessed with beautiful and unique fauna, is a famous place to spend your holiday. Inhabited by various mammals, birds, reptiles and fishes, this is an ultimate wildlife destination to be at. Home to a large number of tigers, Corbett Wildlife Sanctuary is indeed a must visit place for wildlife enthusiasts and wildlife photographers. 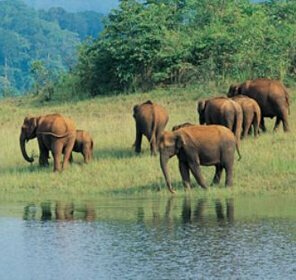 Jim Corbett National Park is best visited during the months of October to March. During this season, the day is quite pleasant giving a great sight of the birds and animals. 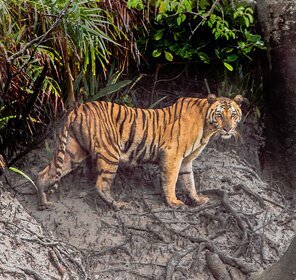 However, for tiger sighting, May is considered an ideal season since most of the animals frequently visit the water holes. Not able to spot a tiger? Don't get disappointed. 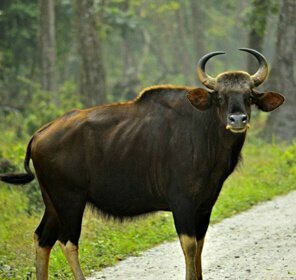 Apart from the treasures troves in the Corbett National Park, there are good number of serene options to explore nearby. 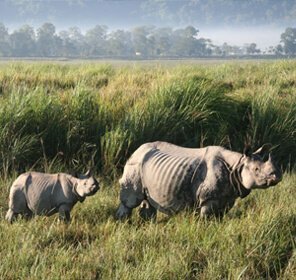 So to spruce up your tour to Corbett Tiger Reserve, make a point to visit all these nearby attractions. 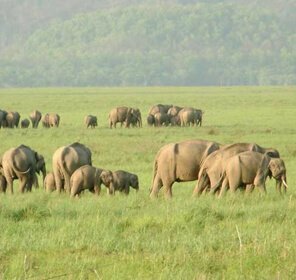 Corbett Wildlife Sanctuary happens to be the oldest wildlife reserve in India and remains crowded with tourists throughout the year. To maintain its sanity and beaut, mentioned here are some rules and regulations that you must follow to make a wealth of thrilling experiences.